One of the hardest thing I find to to shop for is foundation. The process of colour matching can be the biggest challenge and there just never seems to be a perfect shade for me, even if there are close matches. 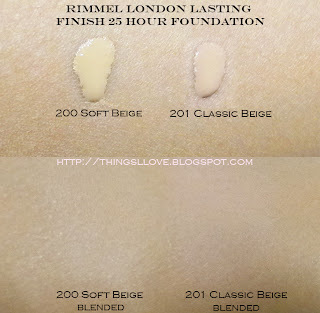 Always in search for the best matching ones that gives me just the right coverage and feels great on skin, my recent hunts have taken to towards Rimmel London's Lasting Finish 25 Hour Foundation. Provides a medium coverage that is buildable through layering of the product. Has a dewy and slightly glowy finish. It feels slightly sticky on skin if you are concerned about such things, once set with translucent powder, the stickiness disappears. Light and fluid, it isn't too thick and is very easy to blend with fingers or a brush (I use the Sigma flatop kabuki brush to buff it in). I love the even flawless finish you can achieve with this foundation and the fact it is quite transfer resistant (you have to rub pretty hard the get to colour to budge). Is very hydrating on skin is suitable for dry skin type. Oily/combo skin types may find it a tad too greasy for their liking. Lasting power wise, I found the makeup melted at the end of a lengthy 9 hour work day in an office environment and even when touched up with powder, it is definitely losing the some of the coverage when compared to the freshly applied look. The 25 hours claim doesn't stack up here for me, but considering it does last longer than most foundations and did take me through the working day, I can't complain too much. I didn't get a colour match from the range that is available in Australia (a quick search online showed that the US again has a larger shade selection - why do we only get such limited range?). 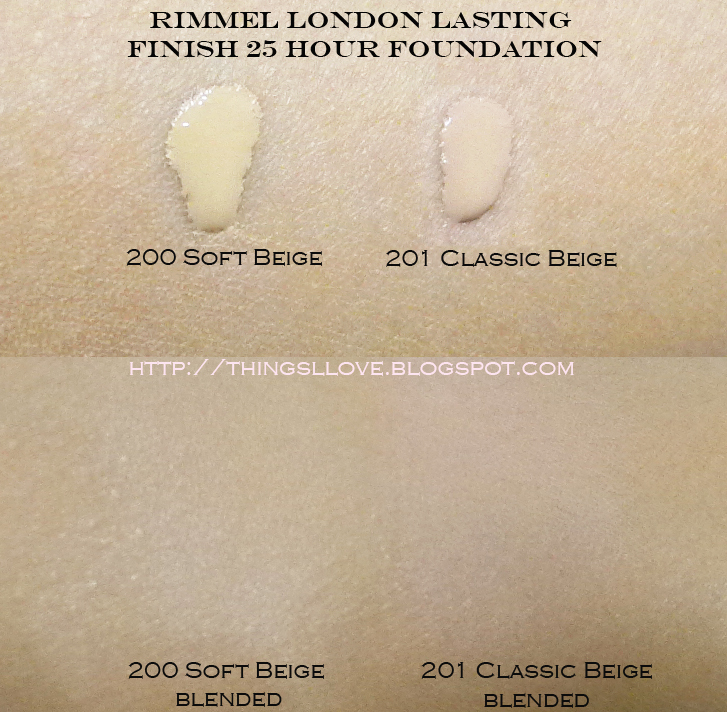 The 2 colours I tried did somewhat adjust to my skin when applied and 200 Soft Beige (too light) with a yellow base is more suited to me than the more pink beige under toned 201 Classic Beige. If you are after a hydrating foundation with a dewy finish, this will be the foundation for you. The only challenge will be finding your right shade, and with 7 shades available, you just might be lucky enough to find one that matches. RRP A$17.95 at Priceline, supermarkets and pharmacies. I feel your pain! I find it frustrating that companies often realease only part of their shade range. Normally it seems to be lightest/darkest shades dropped off and being so pale it leaves me with shades that are all too dark. I really hope that changes soon.